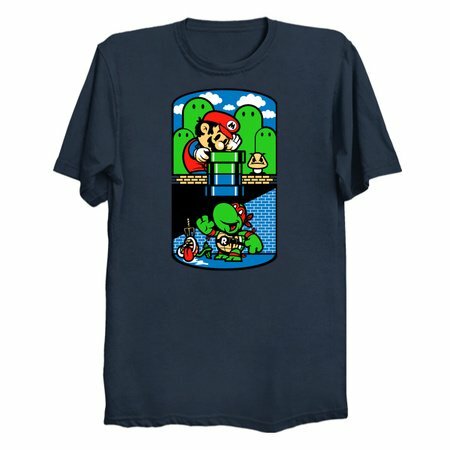 One day a plumber and a teenage turtle discovered that they had an awful lot in common- they both routinely used large pipes to enter the sewer system, they both packed a powerful punch, and they both loved pizza, although one liked mushrooms on his pie a whole lot more than the other. Their friendship became the stuff of small screen legend, and they proved that a little teamwork ensures a high score is had by all. 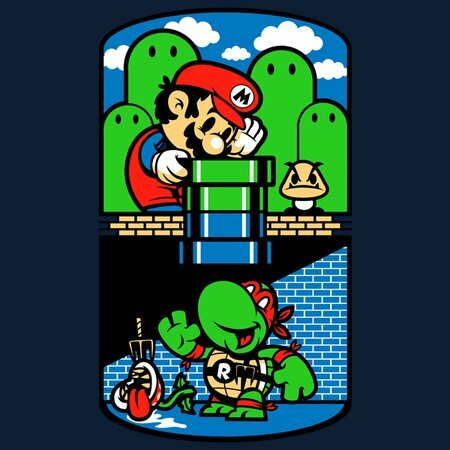 Whether you’re a hero in a half shell, or a plumber with a moustache, you know you gotta help a brother out when you hear his cry for help.